Clean Air Zone: Is your business ready for the new charge? 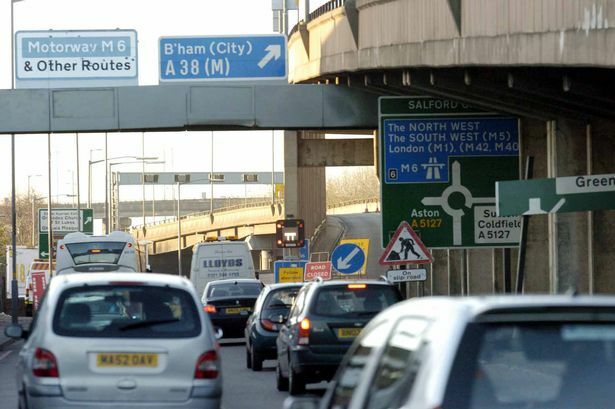 Birmingham is planning to introduce a Clean Air Zone charge in January 2020 which could affect a host of private and commercial vehicles such as older petrol and diesel cars, buses, vans and taxis. Businesses which have company vehicle fleets are being urged to think now about how they will operate once it comes into force and not to delay making plans to ensure they comply with the zone&apos;s rules. Fleet leasing firm Alphabet (GB) teamed up with Greater Birmingham Chambers of Commerce and Birmingham City Council to host a panel event looking at some of the key issues likely to impact companies from January 2020. Cllr Waseem Zaffar is Birmingham City Council&apos;s cabinet member for transport and the environment and is leading the drive to introduce the Clean Air Zone. "There is a public health crisis in the city and up to 900 people are dying prematurely here because of pollution. That figure is 1,500 in the West Midlands and 40,000 nationally and the cost to the public purse as a result of air pollution is £20 billion a year. "The largest contributor is transport. The city council received the biggest response to a consultation it has ever had with answers from more than 10,000 residents and hundreds of businesses and trade organisations. "But there are still hundreds of people who will be impacted yet aren&apos;t even aware of it. We will do whatever we can to engage and support them through this change. "The only way we can get to legally compliant levels of pollution is to go for a worst-case scenario which is to charge every type of vehicle other than motorbikes. But even that won&apos;t get us to the compliant level the Government wants which is why we have additional mitigation measures we want to introduce. "We have asked the Government to support us with £36 million to introduce these measures and, if we don&apos;t get that support, we will have to review this policy. Getting legally compliant is where we start, not where we finish - that&apos;s a short-term aspiration but getting to safe levels of pollution is where we need to be." "There is an acceptance among the business community this is a good thing. We recognise there are clear benefits to having cleaner air such as a healthier and more productive workforce and making the city a better place to be. "But it won&apos;t surprise anyone there are lots of concerns about this as well. It is under 400 days until this is implemented - are we ready for this? "While accepting the time frame is going to happen, we have continued to challenge the implementation date to ensure the unintended consequences are as few as possible. What it&apos;s going to cost is a big question for businesses and another issue is compliance. "What happens if a company changes its whole fleet to be compliant with emissions standards and then in 12 months&apos; time the laws change? Are we going to put ourselves at a disadvantage when neighbouring cities like Coventry don&apos;t have a Clean Air Zone? "There is a lot more work to be done but everyone is keen that, when we start this in Birmingham, we do it in the best possible way so we can have the best of both worlds. We can get cleaner air without having a negative effect on our businesses." "Research by the British Vehicle Rental and Leasing Association highlighted that four out of ten SMEs in Birmingham were unaware the city was introducing a Clean Air Zone. Significant change is coming and businesses really need to use the coming months to plan and adapt. "I believe it is not only possible to comply with the zone&apos;s requirements but use it as a catalyst to bring wider benefits to businesses. Any business with vehicles that don&apos;t conform to the emissions standards of the zone have a clear choice - either they pay the daily charge or modify their activities and update their vehicles. "I can reassure companies that, with expert help and support, change is not only possible to achieve but can and will bring financial, operational and HR benefits. Our experience tells us those businesses that adopt the perspective of opportunity, rather than see the zone&apos;s introduction as something to be adhered to, are best positioned to realise the genuine benefits. "I understand the concern that businesses could invest a lot of time, energy and money preparing for the Clean Air Zone only for emission regulations to change in future. This is where leasing can help - it&apos;s a great way to stay up to date with the latest technology without significant capital investment upfront. "The new Clean Air Zone is an opportunity to think differently about how businesses move people and goods." "Air quality, climate change and energy - all of these are big issues but they all affect people - the old, young, well and the sick. It doesn&apos;t matter who you are, you are affected by poor air quality. "Across most sectors, in particular energy, there has been a significant fall in carbon emissions but in transport that is static. One of the reasons for that is more people are coming out of regulated, lower emission company cars and going into their own private cars. "That&apos;s a problem for climate change because it means our CO2 emissions from transport are not falling. The UK government has been taken to court three times by campaigners which has resulted in three iterations of the plan for a Clean Air Zone. "The definition of a Clean Air Zone has also changed and the interpretation of it has differed among the cities mandated to have one, but Birmingham is going big and bold which is exciting. It&apos;s important to recognise Birmingham is going large because the other cities are not."